In an AP English Class, Shouldn’t It Be about the Reading? This is my fifth year to teach AP English Language and Composition. Every year I can pretty much predict during the first grading period which students will pass the AP exam with a qualifying score. See, my campus practices true open enrollment: any student that wants to challenge herself with PreAP or AP classes may. We have no prerequisites. Any student that demonstrates a strong work ethic, attends tutorials, and tries hard can pass my class, but she may not pass the AP exam in the spring– if she is not already a reader. It’s a lack of reading skills that gets students every time. The multiple choice portion of the test is a killer with four to five passages and usually 55 questions, which must be answered in 1 hour. I can teach test-taking skills that will help my students do better on this part of the exam, but if a teen is not already a reader when he comes to me, I can rarely help him learn the vocabulary and critical reading skills needed to score at least 50% of the questions correctly (the minimum goal for the mc portion of the test). I’m a pretty good teacher, but the AP exam is difficult, and my magic wand only has so much power. Many of my students do not come from homes with reading role models. Their parents are hard working immigrants who do not have funds to invest in books. Quite simply, most do not identify themselves as readers. Of course, there’s the few. The students who had an older sibling or a teacher or a librarian (or sometimes a parent) push books into eager hands. These are the students I predict will find success on the AP test come May. For four years I’ve tried to figure this out: If it’s the readers who can pass the exam, how can I get more students to be readers? It should be simple. She was not the only one, and my feeble attempts year after year to get students to read, and their feeble attempts year after year to pass my assessments, proved that the classic route was not taking my students on the road they needed to go. They still weren’t readers. I assert that most high school students do not read the assigned texts, especially classic novels that they can read about online–learning just enough to join a class discussion, write an essay, or pass a test. They might learn the gist of the novel, maybe even get the jokes alluded to in pop culture, but they are not reading. And that is what I want: I want to foster readers. @xxxxxx Thanks for sharing. Great books. Are they reading those titles as free choice? If so—impressive. @AmyRass They are chosen from a list we gave them. I also am fortunate to teach some very bright students. Is it hard to devote 10 minutes of a 50 minute class period to reading? Yeah, at first–when the traditionalists tried to drag me back to the dark side. Then I had my students blog about their reading lives over the last seven weeks. So many of them wrote about how they’ve read more books in seven weeks than they read the whole of their sophomore year. Three, four, five books. Already. I am glad they are reading YA literature. I know it doesn’t have higher-level vocabulary. I know that it doesn’t have sophisticated syntax. I also know that my students like it; they are reading after all. This quarter I will push students into harder texts. Just yesterday, I put a stack of memoir, historical fiction, non-fiction, and classics on every table, and I talked books. I challenged students to add to their What To Read Next list, and I gave descriptions of characters and hints at plots. I’d like students to read a sampling of different genres–try a graphic novel or a NY Times Bestseller–because so many teens don’t know what they like–yet. If they don’t meet the challenge? It’ll be okay, as long as students keep reading. Today Yulissa asked for Cut. Luis asked for Unwholly. Esmeralda read A Child Called ‘It’ in 24 hours and went straight to A Man Called Dave when she walked in the door. Anthony started reading The Lord of the Flies, and Stephany asked for an award winner, so I gave her a stack of six to sort through–all had Printz or National Award or Pulitzer emblems. Tomorrow will be similar. We’re nine weeks into the year, and reading’s become routine. I may not be able to give all my students the skills they need to master the AP Lang exam, but I am giving them the time they need to plant the seeds of those skills. They’ll sprout and take root and begin to grow, and maybe, just maybe, my students will have the stamina they need to succeed in college, and, maybe that stamina will help them succeed in life. That’s more important than an AP exam anyway. I’d love to know the reading habits of the AP English students on your campus. Are they (fake) reading? or really reading? I’ve spent the summer building/buying a high interest library, and the bookshelves to hold them. My ninth graders will independent read, yes. I’m almost in a panic as I write this (and perhaps this is because students are here on Day 1 of the year), but, darn it, my AP Comp students will too. 10 minutes a day in a 48 minute period is dear; my hope is that these students find a “constant friend, a counselor, and teacher” they want to return to again and again as they go through life. I teach AP Lang to a similar population with no prerequisites. Some read; most don’t. I give them independent reading in the form of novels. They loved Animal Farm, although it’s not too sophisticated. The Great Gatsby was also popular. This year I will try selections from The Things They Carried. We read Macbeth in May-June after the AP exam. Honestly, I think all of us would be better off teaching short stories and poetry, at least in the first semester. Students are exposed to a wider range of writers, viewpoints and styles. Amy, I love this!! Kudos for infusing history, non-fiction, etc. into your (already) beautiful library filled with choices. One way I’ve ‘moved’ students from YA (and that’s not to say they should never return on their reading journeys…because they should!) to non-fiction is by talking with them about what has kept them drawn to YA. I love your questions to get students making connections. I can just see you kneeling by a student’s chair and playing ‘detective.’ You inspire me! So many issues in the responses to your post. I see so many of the same issues in my students. I’d been at the middle school level for a long time, and the last few years have been at the high school with freshmen and college Comp I/II students. Our students have always been busy, but it seems that more and more they are packing in SO much that they don’t have much down time. My classes are 43 minutes long, giving up that time for “free” reading is hard, but I also think so incredibly worth it. I also have witnessed the same issues with the classics, the kids do not read them – they go online skim and get the basic plot line and work off of that. It’s discouraging, but then again, if I’m completely honest with myself, I too, during high school, hated those same novels that today I love and have the life experiences to appreciate and connect with the characters and issues – those same characteristics we try to “teach” the students with reading. YA lit – I also think that we may not give this area of literature its due worth. Our students are savy consumers, therefore the material they read has to catch their attention quickly to keep their interest. True, many times the vocabulary is not the high end vocab we’d like, but this lit trend also is creating its own vocabulary. Unwind has created a whole terminology around the word unwind. The issues within YA lit is much more complex and controversial and honest than what was out there when I was a teen. The novels the students are reading are causing them to do more thinking and questioning than we give them credit. The discussions I end up having with kids in the halls, and end of class about the books they are reading are about those strong ideas, issues, concepts that they just don’t talk about with the “classroom” novels and textbook pieces. Other ideas that people have, I’m incredibly interested in. So much of the time I feel like our continuous government mandates – national and state – are doing their best to create a society of nonreaders. Textbook – yes, the pieces are good pieces to convey the literary conventions, but that light I see in a students’ eyes when we discuss a book they are reading completely dims when I say, “Take out your textbook, open to page…” Unfortunately, I don’t have a ton of choice with that option. In middle school, we had banded together and boycotted the textbook, using independent reading and small lit circles and succeeded. Kids were reading more. At the high school, my hands seem to be tied. Anyone have any suggestions? Poetry – I’ve started showing pieces from Poetry Out Loud – the kids are getting hooked – they love hearing it and seeing someone performing a piece. I take the lyrics to the music they are listening to – yes, I have to bleep some of the words. I use the music I listened too and pull the music videos from the 80’s/90’s and am pulling kids into poetry in that way, then find the classic piece and work through. I read Shadow Club – Schusterman to all my 8th graders each year – a little each day. The kids still talk about it and anything by Schusterman does not stay on my shelves. Unwind flies off and there is a waiting list. I’ve gone to Youtube and occasionally take some time to show book trailers that students in other schools have created, the visuals have gotten some stragglers to pickup that book, or at least look at it the cover – huge step forward for some to just touch a book of their own accord. I’m picking up more non-fiction – pieces on hunting, showing livestock (rural community), car/mechanical manuals, athletic/military training, athlete bios – sports guys are picking those up, etc. If any of you have any suggestions of where to find grants for books, I’d be interested. I’m making dents in my mass of non-readers, but only with books with the new covers, and look new. Anything with an older cover does not get picked up. I really do not have a classroom budget to spend on books and my personal budget is already tight. Kerry, thank you so much for your insights! I love knowing I am not fighting this reading battle alone. You mentioned a few things I’ll touch on: 1) book trailers. I show them often; I also show movie trailers when I know the book’s been made into a movie. Of course, I always say that the book is better than the movie–read it first. Depending on the book, it usually works. Divergent, Ender’s Game, Catching Fire, and The Fault in Our Stars are all being made into movies that will come out soon. 2) Finding books. DonorsChoose.org is a great source for grants for books. Right now one of the book sources has a bargain 50% deal going on. I’ve had three “projects” funded through Donors Choose–all books for my classroom library. Adoptaclassroom.org is another place where you can get funds for your classroom. I have not been as successful there, but a colleague has. I also shop thrift stores for books. I got two shopping bags at my local CCA just this week: hardbacks were $1 and paperback were .50. Good books, too–3 award winners, including one Pulitzer, 5 Malcolm Gladwell books, Jodi Piccoult, and more. If you know authors and titles, you can do a pretty good sweep at Salvation Army, too. Again, thanks so much for you input. Let’s continue to share ideas and resources. All the best to you and yours. Another thing: I teach AP Lit, and poetry is 50% of that test. Teens are so unfamiliar with poetry, as is most of our society, to our human detriment, I believe. One reason, in fact, that I love the AP Lit exam is that it is one place in America where poetry is still a valuable component. I would love to have all teachers get more poetry in front of their students. Agree. I was never a fan of poetry until recently. Dumb, really, my degree is in literature. I just avoided classes that made me spend any time with poems. I’m changing. I agree that we should try to bring more poetry into our classes. I’ve found that I can teach any literary device I need to with a poem rather than a short story or novel. Students appreciate this, too. They think it’s less reading, when it really ends up being deeper reading a lot of the time. Thank you for your comments, Jennifer. You inspire me! One thing I’ve realized this year is that my kids really do WANT to read, but they are taking so many hard classes and are involved in so many activities that they really aren’t leaving enough time in their lives for it. I know that I was guilty of this as an overachieving student as well. This year I’ve built some reading days into the class schedule where we either read silently, or, in the case of really difficult texts, read together. They seem to appreciate it and really use the time. Great post. As much as we tell students that reading is a crucial skill in the 21st century, it’s simply not. I have far too many students in AP English tell me they hate reading or just tolerate it. It’s becoming a fringe activity- one day reading may be treated the same as knowing Latin. I’m blessed my son loves reading. I have ZERO answers for this problem besides sharing books and keeping them in front of students and asking them to try reading. Wait! Isn’t reading a crucial skill in any century? Maybe just not quite the reading of novels and long texts like we try to get kids to read in school. Not everyone will enjoy reading for long periods of time no matter what we do, but that doesn’t mean that they shouldn’t learn to do it. There are benefits to the stick-with-it-ness required to read, and understand, a full-length text. I imagine there’s even brain research on that somewhere–developing teenage brain and all. You are right in that I know many very successful professional individuals who do not identify themselves as readers. I read recently that something like 46% of people never read another book once they finish school. I would contend that most are still readers–just maybe not the traditional definition of what a reader is. I hate the idea of reading becoming a fringe activity. It’s story that unites us as humans. Recently, I read an article that promotes literature as the tool that creates empathy and understanding. I’ll hang on to that view, and I’ll keep putting books in student hands with the hope they will become readers–even if it’s just for a while. Thank you so much for the conversation. You’ve sparked some thinking here, and I appreciate it! Oh I’m not quitting on trying and I didn’t mean we should give up trying. I’d be interested to hear from a teacher who taught pre-internet, pre-cable television- were students better readers, did they love reading more than kids do today? I wasn’t meta-cognitive enough at age 8 to look around the room and see what kids thought of reading and what that meant to me- I was too busy reading. I taught pre-Internet, and pre-cable TV. 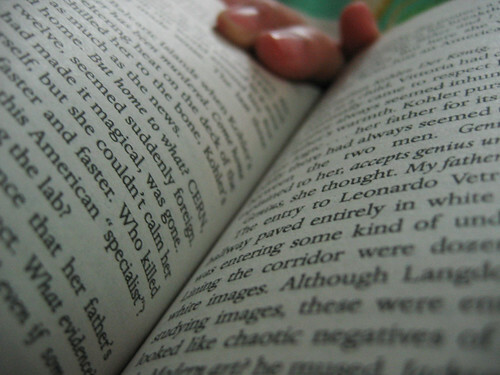 No, students weren’t better readers of class novels, and they also faked reading. They had to go buy or borrow the print Cliff Notes, or scramble to talk to friends who had done the reading homework, but (without hard statistics here) the number of kids who actually read the assigned class novels seemed very similar to what I see today. The difference I *would* comment on, is that reading on one’s own seemed to be more frequently an acceptable activity, and I think more kids read for pleasure. Certainly there was less of a shock when they got to college and had to do serious, self-directed reading. The shift we need now seems to be: Abandon the fake-read class novel experience which cements the student’s impression that reading is fake and false and unworthy. We need to dig in for authentic reading experiences, that start wherever the kid may be. We need to let them learn that reading can be delightful — and most liberating. Wow!! What an honest post. I am also trying to get my students to read more. I launched independent reading with blogging this year. Let’s see how it goes. I TOTALLY hear you about the YA debate – I want them to enjoy it and love it. I really do. I read YA all the time and think it’s great. But when, and how, do I get them to the next level? One honors student told me she reads all the time but has the worst vocabulary. She reads mostly YA. is this why? Ok, we can’t jump into Austen, but there has to be some kind of in between..? I find this especially hard for honors ninth graders– they’re too old for MS books and still too young for regular fiction… Secret Life of Bees and Alice Bliss seem to be popular… I will post back if I get any ideas! Joyce, the struggle to push students to the next level is just that–a struggle. I have several PreAP sophomore boys reading The Ranger’s Apprentice series. YAY! they are reading; however, they are reading far below what they are capable of reading. My goal is to research some fantasy books that take the vocab and sentence structure up a notch. If I can get my kids to try it, maybe I can get them to move themselves forward. A friend suggested Game of Thrones, which I know nothing about except that it’s a huge book. I am also on the lookout for YA books with multiple perspectives, which makes them a bit more complex than just one narrative voice. Thirteen Reasons Why is one that many of my students are reading. They have to think more when they read just to keep the narrator straight. I think this helps pushing them into more complex texts. Thanks for your comment. You’ve got me thinking more here! I’m a fourth grade teacher. And even though fourth grade reading and language arts is very different from AP English, I have found the same results. I love reading books and talking about reading books and I LOVE doing read aloud. We also do DAILY 5 in our class so the students are reading at chunks at a time. Every year, I hear from parents how their child used to hate to read and now they love it and are always reading a book. I completely agree with you! I loved reading, but there are few books I actually enjoyed reading in high school. I think what you are doing is great work! I love this: “even though fourth grade reading and language arts is very different from AP English, I have found the same results.” Imagine if every grade level in between fostered the same kind of love of reading? Oh, that might be my perfect world! Thank you for sharing your thoughts, and I appreciate your support. I try to remember to bring the elementary engagement–fun, colors, art, activities–into my high school classroom. Reading on pillows in the corner is a tiny part of that. Best to you and your small ones.